After visiting the Desert Botanical Garden the other day, I was struck by a question of diversity. Of course there is a diversity of plants at a botanical garden. I certainly saw a number of different species of birds (including a great horned owl) and a bevy of different butterflies. There were squirrels, lizards and a ring-necked snake. What about ants? 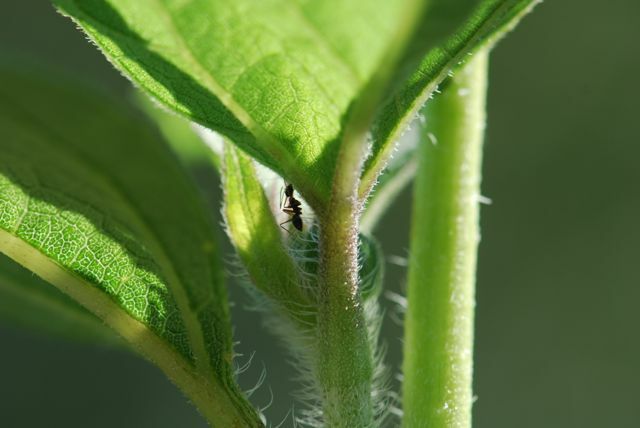 Ants were visiting the extrafloral nectaries of the wild sunflowers. 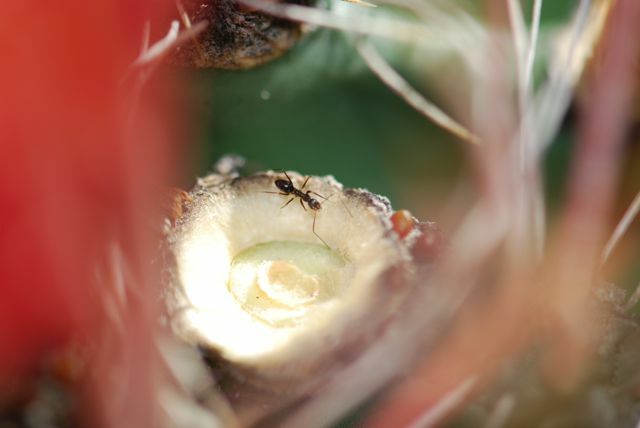 There were ants on the barrel cacti, probably also attracted to extrafloral nectaries. 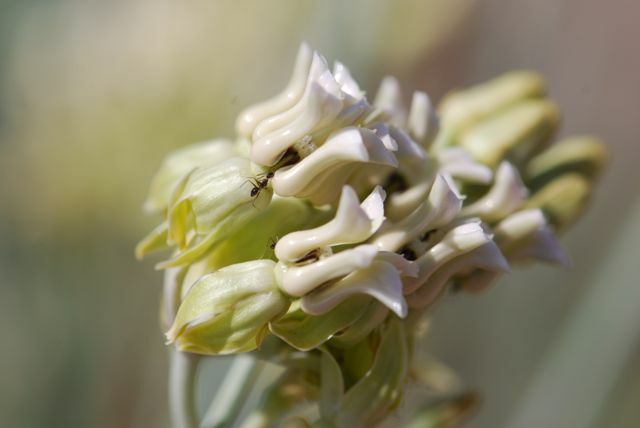 In addition, ants were visiting the floral nectaries of the rush milkweed. Throughout the garden there was one species of ant, which is readily recognized by its extra long and thin antennae, as well as long legs. The species is Paratrechina longicornis. Although it is often called the “crazy ant,” I think a better name for Paratrechina longicornis is the longhorn ant. After all, many different groups of ants are commonly called crazy ants, including Dorymyrmex insanus, so that name doesn’t help with taxonomy. Also, the “crazy” behavior is somewhat subjective, but the extra long antennae are easy to recognize. The species name, longicornis, comes from the Latin words for long and horn. What do you think? Apparently native to Africa, the longhorn ant has spread throughout the world, and is often found indoors even where it can’t survive outdoors (see the map of its distribution at Antmap.org). 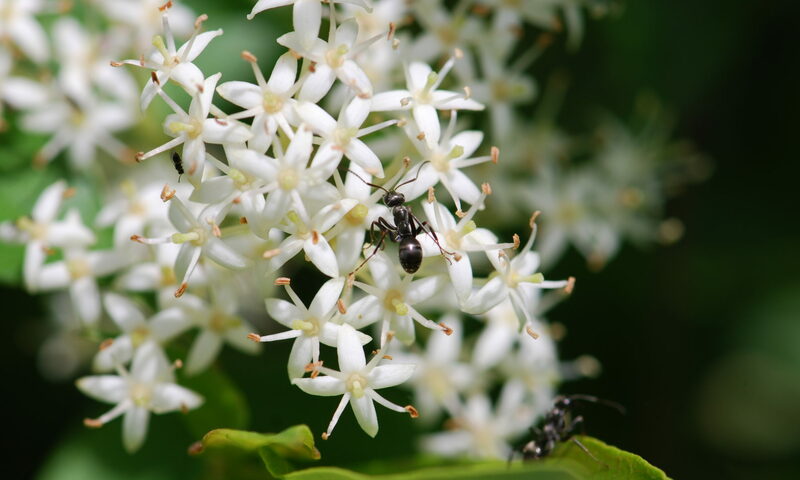 Longhorn ants are known to live in the soil of potted plants, which is probably how they reached the garden. They are also notorious for outcompeting other ant species in many settings, which probably explains why they are so prevalent. 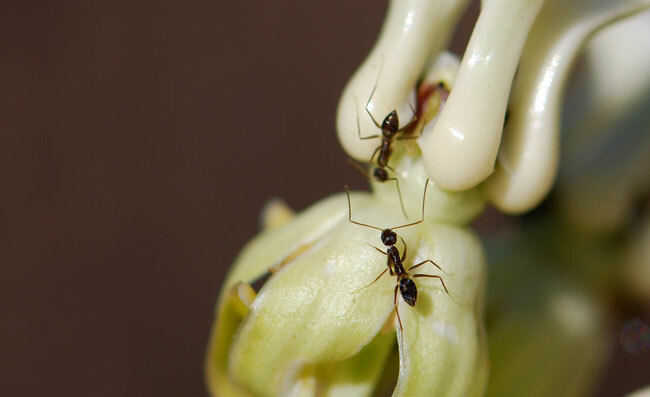 The photographs show that the ants collect nectar from plants, but they are truly omnivores. They will feed opportunistically on seeds, other insects, and any foods we eat. This short video by Helen McCreery shows Paratrechina longicornis workers engaging in group transport of a cricket. Cool! Have you ever seen longhorn ants? Have you seen them cooperatively transport food?